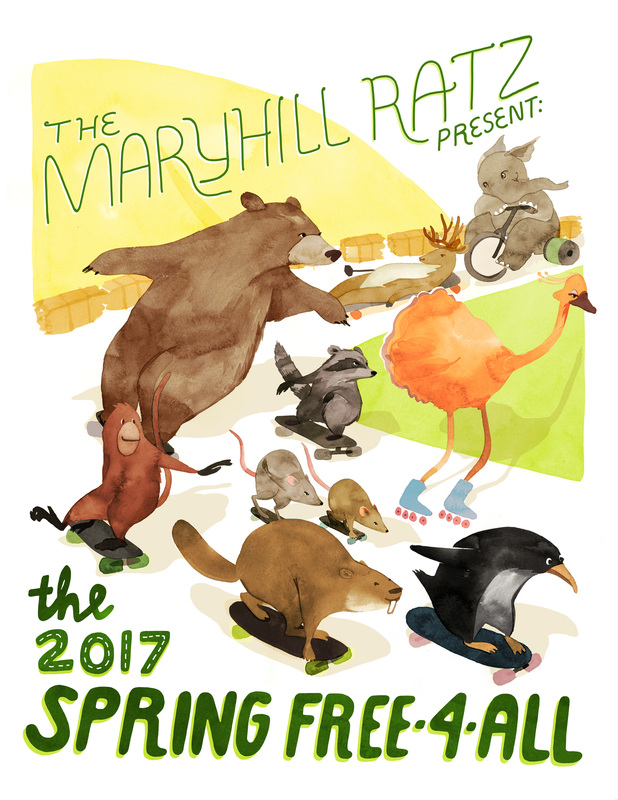 Flowers are blooming and the wind whips up the amber waves of grain, it is time for the first freeride of 2017, the Spring Free-4-All at the Historic Maryhill Loops Road, a gathering of friends and world class athletes for a weekend of fun and skateboarding the legendary Maryhill Loops Road. There will be a race Saturday afternoon with 8 person brackets, $100 to the winner. Or maybe you will be lucky enough to have your name drawn for the Ratz Race where 5 lucky riders will race head-to-head against one of the Ratz for $100. Can you manual? The Maryhill Manual Challenge still stands, $500 to the person who can manual Maryhill. More fun and games are coming so be sure to check back for updates. THERE ARE NO REFUNDS! Please be sure you can make it to the event before you sign up. The entry fee is $140.00 and registration begins Wednesday January 18, 2017 at 10am PDT. Entry fee includes two days of safely riding the most famous skateboarding hill in the world, a personalized laminated badge and lanyard, a Maryhill Ratz water bottle and lunch each day.